Getting short hair done can be quite difficult and should be done by a professional, so when I was switching from long curls to short hair, I had to ask around for a really good hair stylist. I had admired a lot of my friend’s short hair and they all praised Aunty Bisi who works at Fasino, so I decided to try her out. 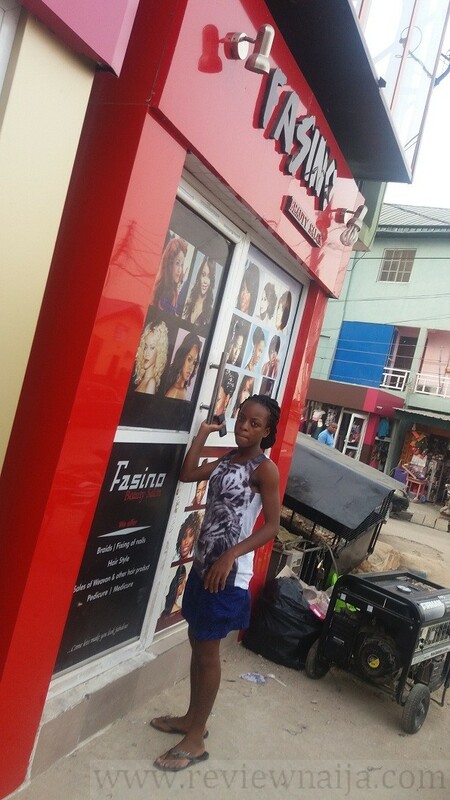 Fasino is a female only salon. Independent stylists man their stands and pay the owner of Fasino to use the stalls, just like Hair planet. Typical services done at Fasino include braiding, fixing, mani and pedis. There is parking for about 3 cars and street parking is also available. The interior of Fasino is alright although quite small; one washing stand, one standing hair dryer, numerous hand dryers, etc. There was no electricity when I visited but the standby generator was on. My friends particularly directed me to Aunty Bisi, so I was excited to see she was less busy. She is a mobile stylist as she also does home services. I showed her the hairstyle of my choice and she assured me of recreating the same look. She also got the weave I needed for the look and it cost 2,000 NGN. One of her ladies washed my hair and it was really soothing. Blow drying was just there and pretty quick. She also braided my hair while Aunty Bisi did the sewing and styling. 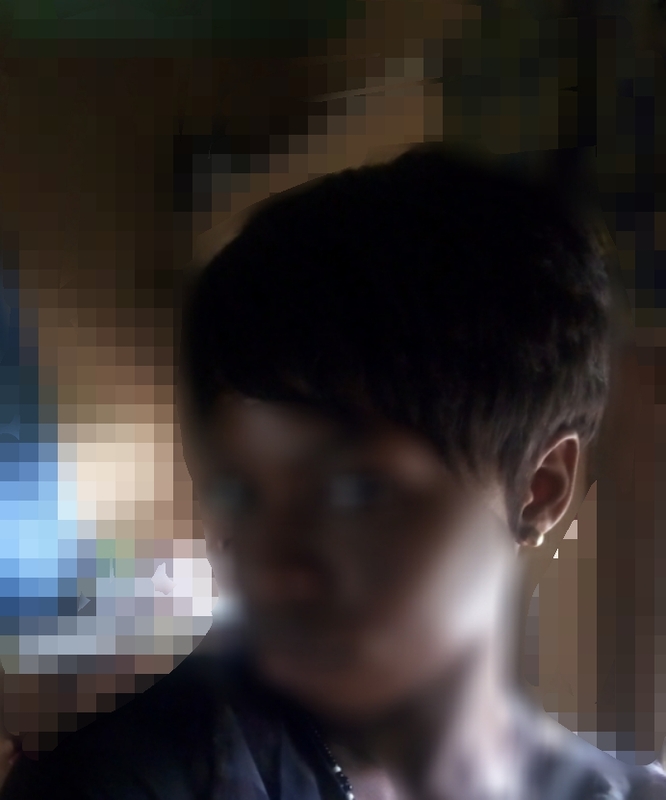 Aunty Bisi is a Pro with short hair. She was ultra-careful while cutting the weave. I even complained she was too slow because it took about 2 hours. However, the final results made me understand why she took her time. It costs 3,000NGN for short hair (inclusive of washing and blow drying) and I was made to understand that longer weaves are cheaper to install. I rate Fasino a 9/10. I was impressed with their facilities and how tidy the salon was, but I would have loved to spend lesser time on my hair. I highly recommend Aunty Bisi for short hairstyles. She is major key! So it was my very first time fixing my hair and I wanted it to be perfect. A friend recommended a salon which I checked up on Google. 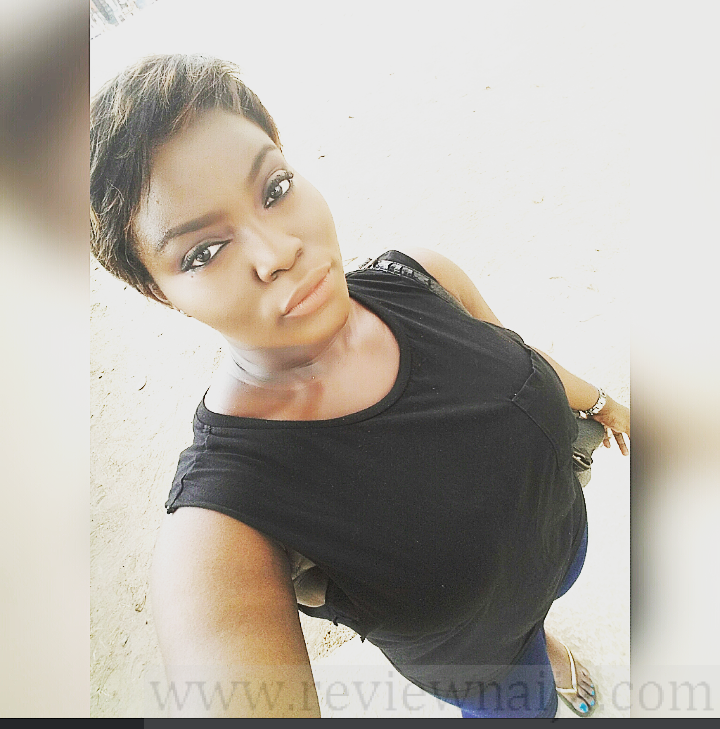 That was how I got to this blog and came across Fasino. I scheduled an appointment with aunty bisi and on getting to Fasino it wasn’t opened. 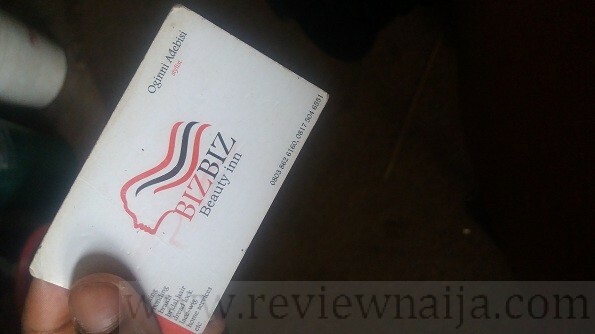 Aunty Bisi now had a stand in another salon *I didn’t take note of the name * to cut the long story short, from this review I had a budget of 5k but seeing as things are quite expensive now, I was able to get a weaveon for about 1200k x 2 and aunty bisi kindly beat down her price from 4k to 3,500. I got started, it took about 2hours plus, but when she was done I was highly pleased. I left her stand feeling like a new woman. 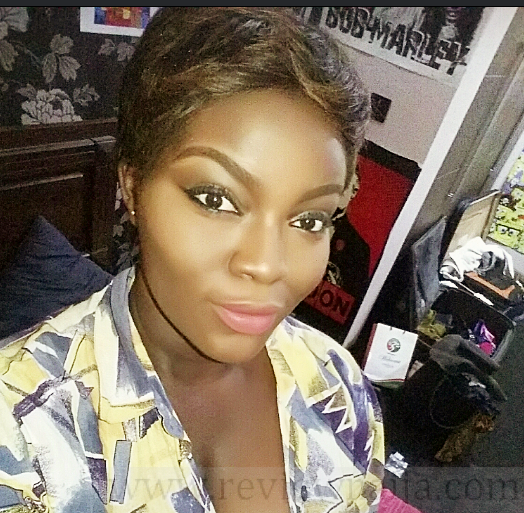 Aunty Bisi is a pro, I would rate her 9/10 and would definitely recommend her for short hair and try her again for other styles. I also want to thank you for this review. It helped a whole lot. Thank you for the updated review! ????? 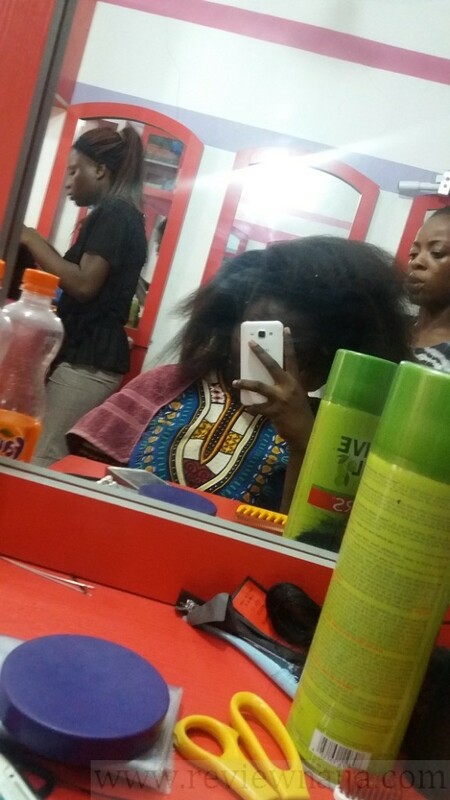 I live at Lekki-VGC but I still come all the way down to Aunty Bisi to get my hair done. Especially pixie cuts. She is so affordable, compared to where I’m coming from and she knows her stuff.